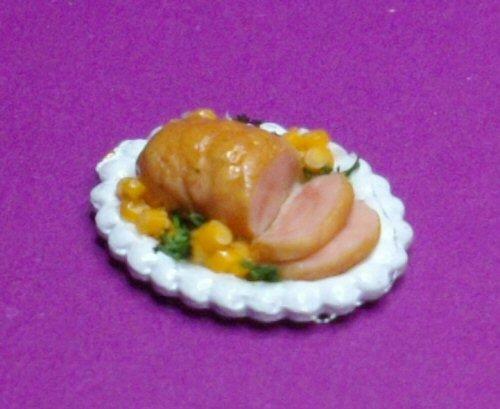 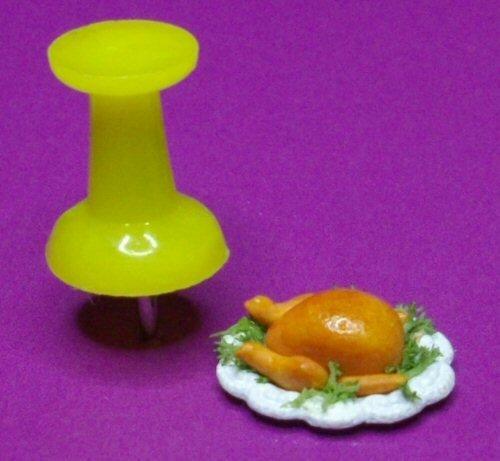 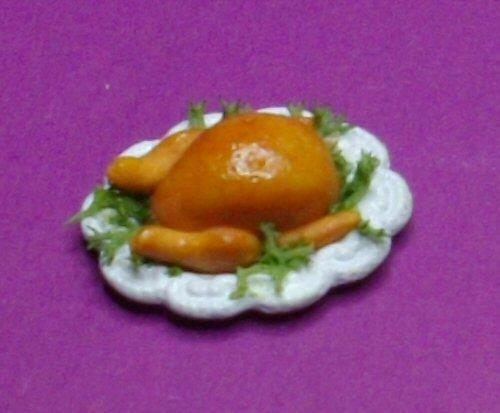 1/48th scale roast turkey on a miniature oval plate. 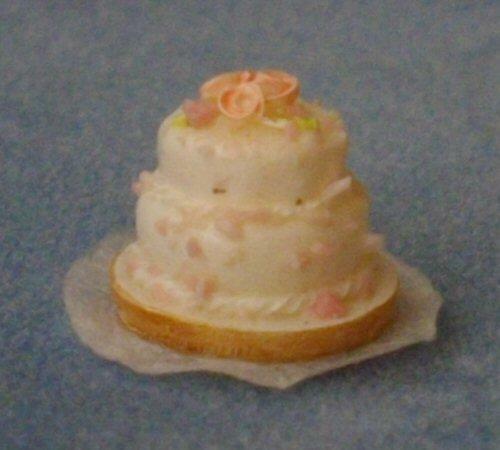 Handmade by myself. 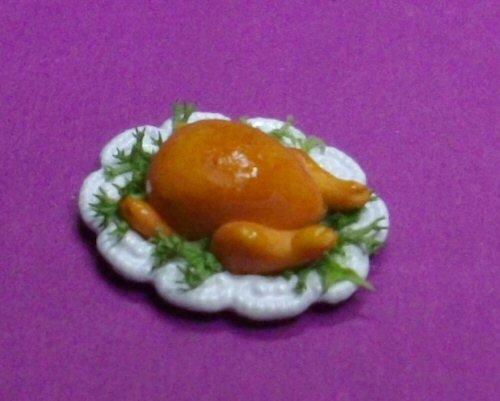 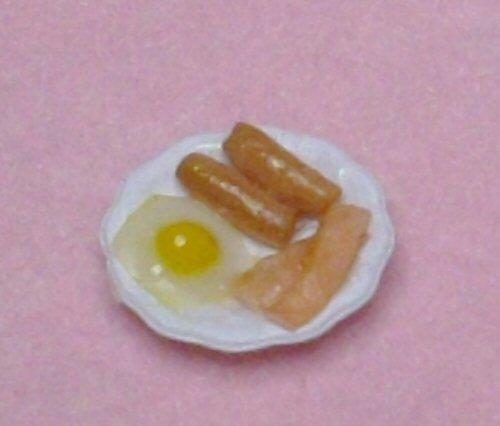 Ideal for your dolls house Christmas or Thanksgiving dinner table. 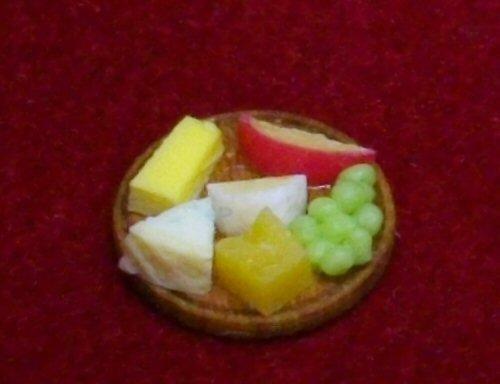 Plate measures 12mm x 10mm.